So a quick overview, the shelf is the Persby Shelf from Ikea and it was only £8. Its quite a thick but short shelf, which is what I was looking for. 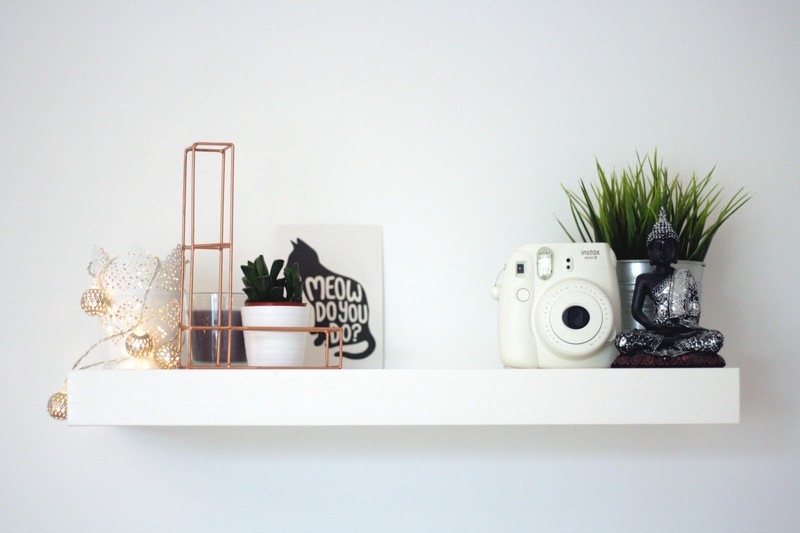 The shelf sits above my desk area which I love because I think it helps to bring it all together, and I can put all the things I don’t want hanging around on my desk, on my shelf. So starting from the right hand side. I have my sitting Buddah from The Range and he was only £2 (although it says £7.99 on the website). I adore him, I think he goes so well on my shelf. 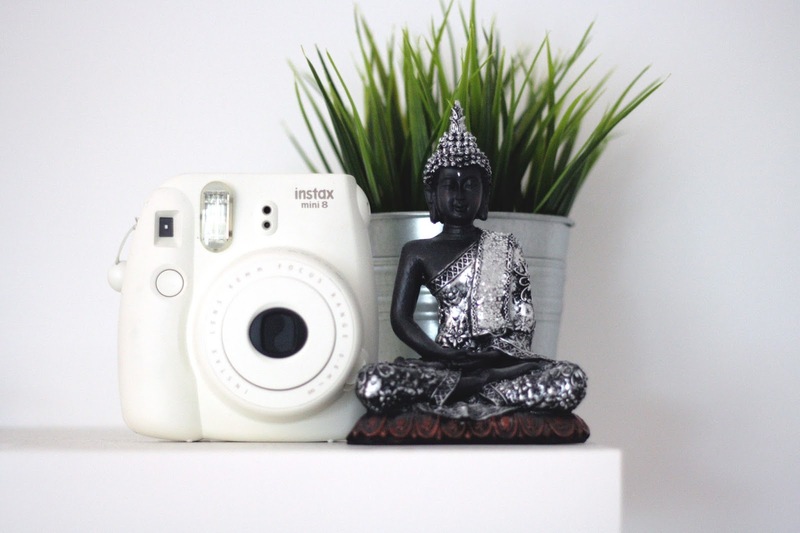 Next to that I have my white Instax Mini Polaroid. Being a photography lover this is so much fun, and I have all my polaroids pegged up on some string in my room. Behind the two of these things, is my plant pot of fake grass from Ikea. The pot is a Socker plant pot and the grass is called Fejka. Together this came to £3.95, so super cheap. Onto the left side/middle section of the shelf. 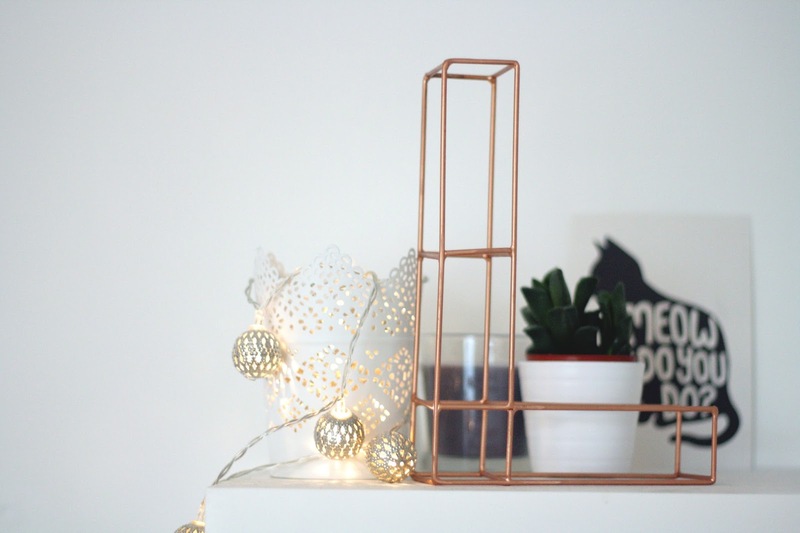 My favourite part of this has to be my copper ‘L’ from Oliver Bonas. 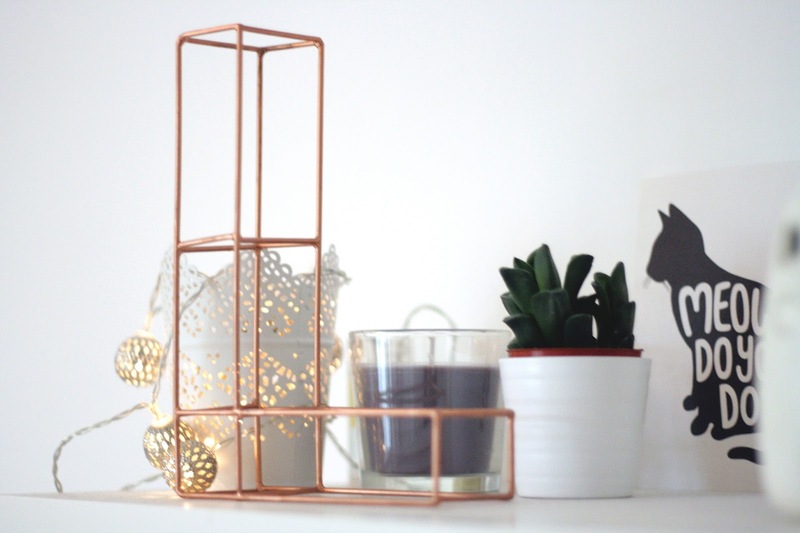 This was a Christmas gift, however they’re only £10 and right now they’re only £7 on sale so I’d really recommend picking one of these up to decorate your room, I love it! Next to that I have my (very well known) Skurar pot from ikea, which is only £2. Gosh, I love Ikea. In this I’ve popped in some silver fairy lights from Wilko and I think it just makes it look so bright and lovely. Behind these two things I have my succulent from a set I got from Ikea, I’m sure most people know the ones! Alongside this I have my grey, sea salt candle also from Ikea which I believe was only 95p. Plus it smells amazing. And finally I have my little cat print from Paperchase. So thats that, I hope you enjoyed this little shelf tour and maybe you found a few things you’d like to pick up for your own bedroom/house!